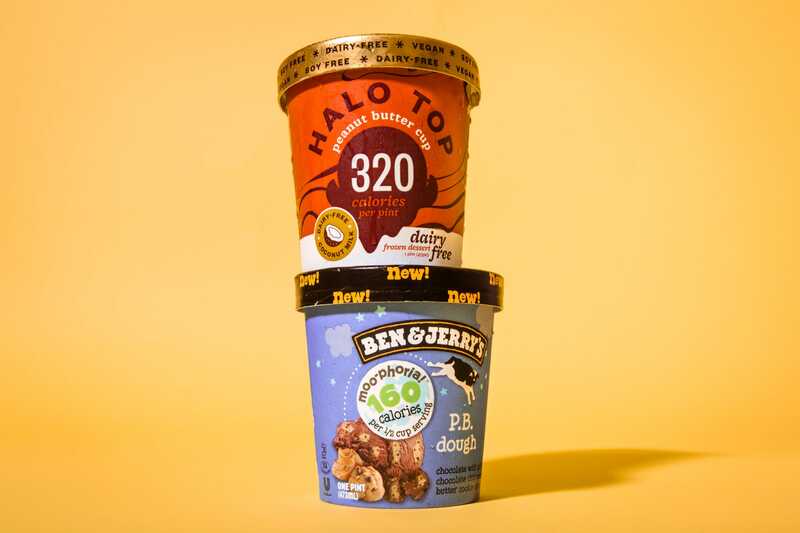 Business Insider/Jessica TylerBen & Jerry’s low-calorie ice cream is much richer than Halo Top’s. 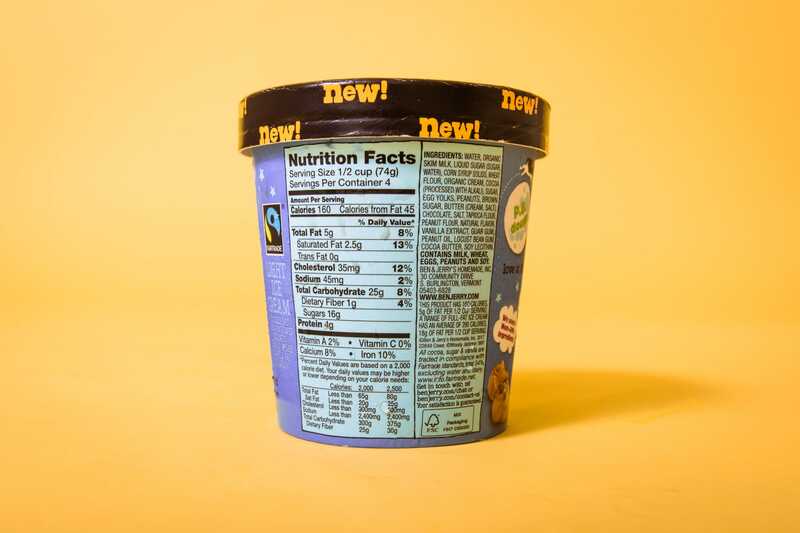 Ben & Jerry’s released a low-calorie ice cream line in early 2018. The low-calorie Ben & Jerry’s ice cream competes directly with Halo Top, a trendy ice cream company that sells low-calorie flavours and was the top-selling ice cream brand in American grocery stores last year. 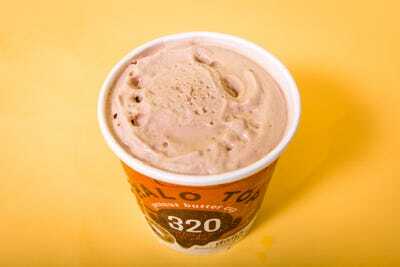 Halo Top offering low-calorie ice cream was one of the trendy brand’s biggest assets in competing against more established ice cream companies like Ben & Jerry’s. But Ben & Jerry’s is responding to the growing popularity of Halo Top, which launched in 2012, with a low-calorie ice cream of its own. As Halo Top’s “light” ice creams have become more and more popular, Ben & Jerry’s released a low-calorie ice cream of its own in February. Ben & Jerry’s version comes in three flavours: P.B. Dough, Caramel Cookie Fix, and Chocolate Milk & Cookies. 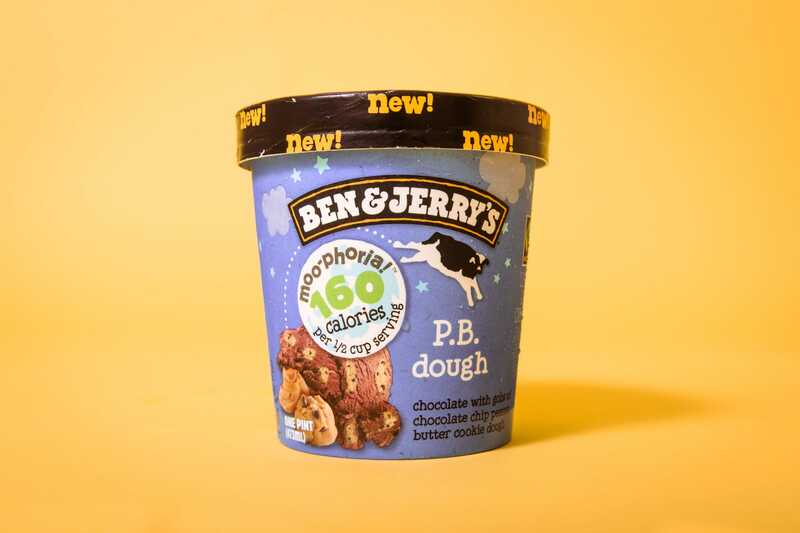 The pints each have under 160 calories per serving and are low in fat, with no artificial sweeteners or sugar alcohols. Though Ben & Jerry’s may have more name recognition, Halo Top surpassed it to be America’s top-selling ice cream brand in grocery stores last year. 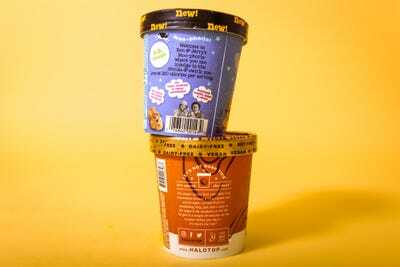 Unlike Ben & Jerry’s, all of Halo Top’s ice cream flavours are low-calorie, with many flavours having under 350 calories per pint – half of what the low-calorie Ben & Jerry’s flavours have per pint. Ben & Jerry’s only makes three flavours of low-calorie ice cream. We tried the P.B. 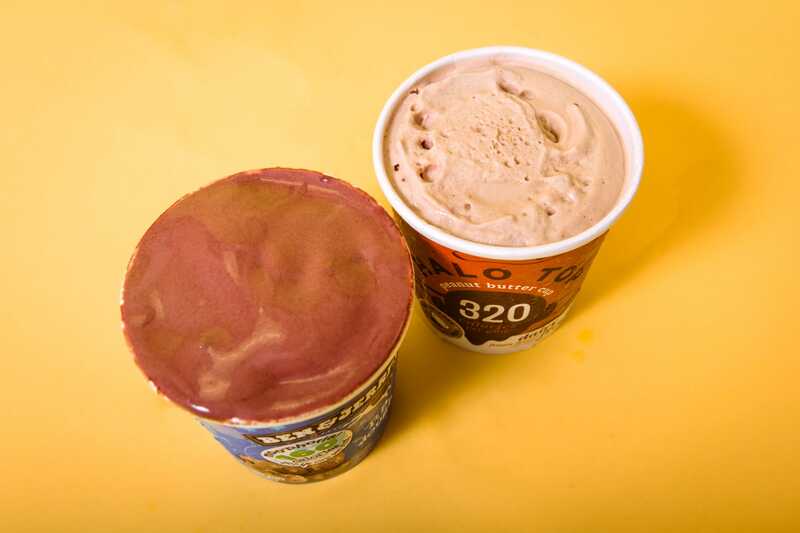 Dough flavour and compared it to Halo Top’s non-dairy Peanut Butter Cup, its most similar flavour. The premise of both ice creams is similar: all the flavour of ice cream, with half as many calories. 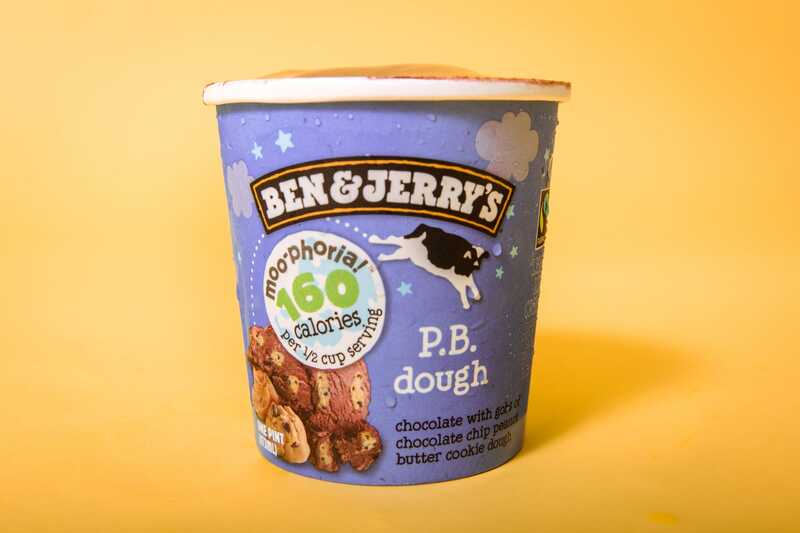 We tried Ben & Jerry’s P.B. 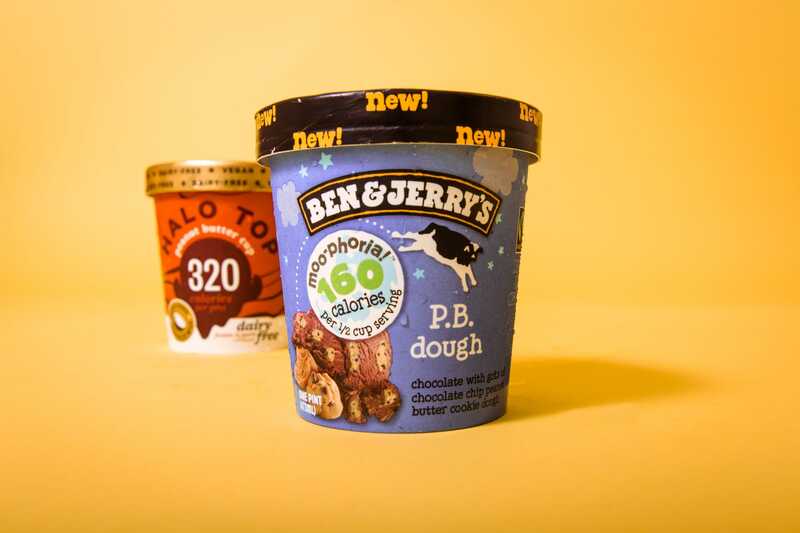 Dough first. The flavour was really rich, so it was hard to eat a lot of it. The mix-ins, in this case peanut butter cookie dough bites, were delicious. 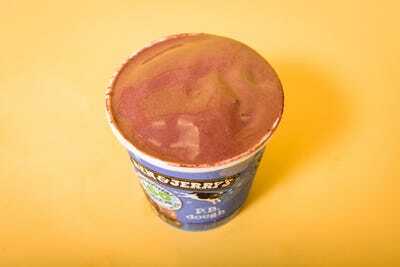 The flavour and texture were almost identical to the regular chocolate Ben & Jerry’s ice cream. It was hard to taste the difference. 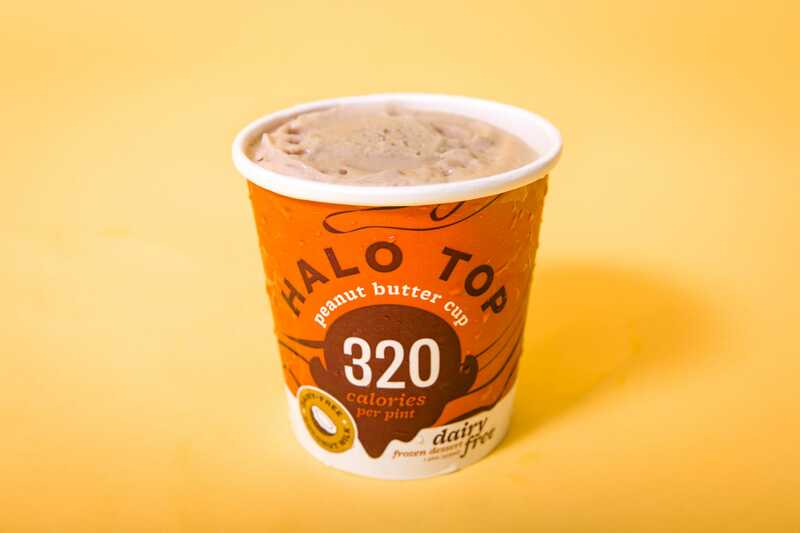 Next up was Halo Top. 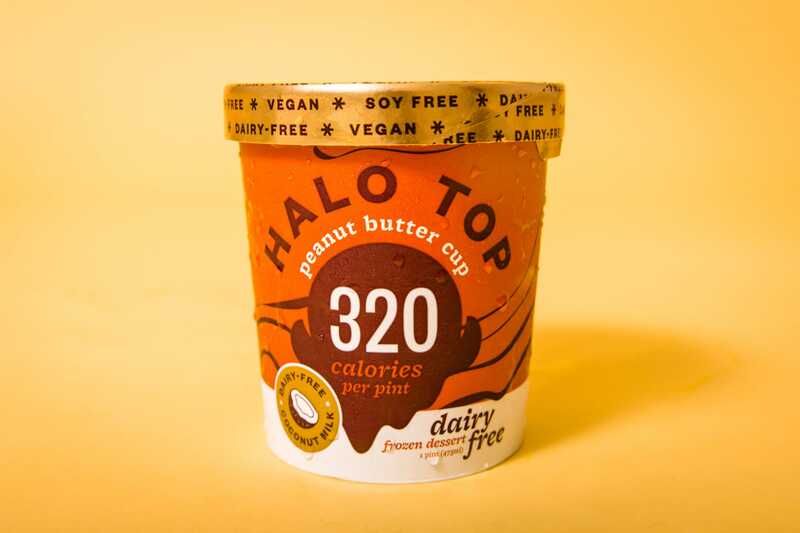 We tried the non-dairy peanut butter cup flavour, which is the most similar one we could find to P.B. Dough. 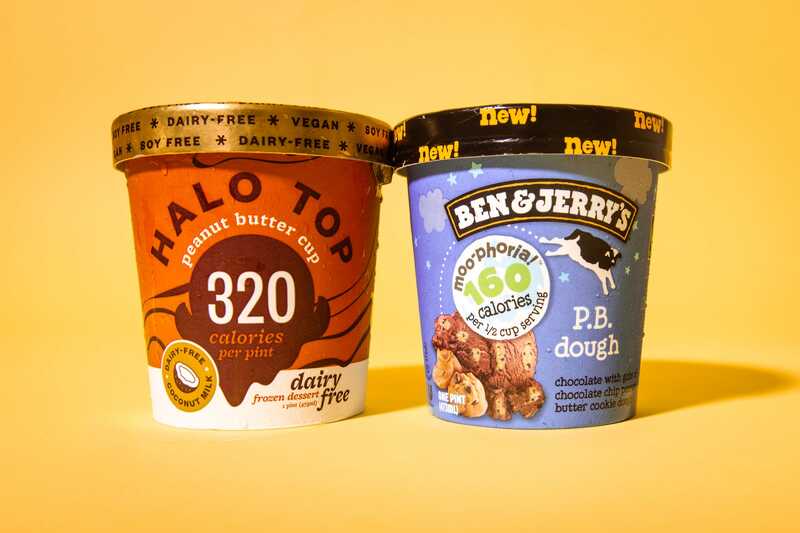 Halo Top’s ice cream only had 80 calories per serving, and 320 for the whole pint — about half as many calories as the Ben & Jerry’s flavour. It had four grams of fat, four grams of sugar, and four grams of protein. 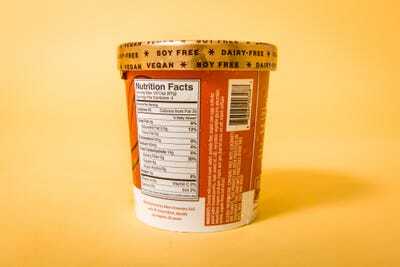 The flavour was very almond-y, even though it was a peanut butter flavour made with coconut milk, not almond milk. 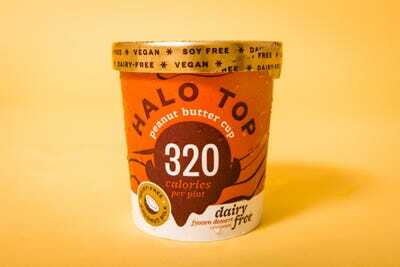 It was very nutty, but the peanut butter flavour didn’t come through as much. It was much lighter and more refreshing than the Ben & Jerry’s ice cream. It wasn’t as rich or filling, and it definitely would have been easier to eat the whole pint because of that. But Ben & Jerry’s had a much richer, better flavour and more mix-ins. It was the better low-calorie ice cream by far.